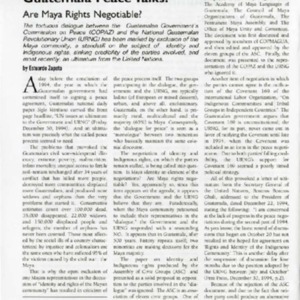 Guatemala Peace Talks: Are Maya Rights Negotiable? 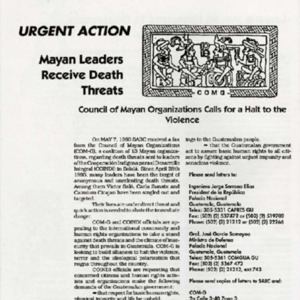 Many leaders on the Council of Mayan Organizations have received death threats. 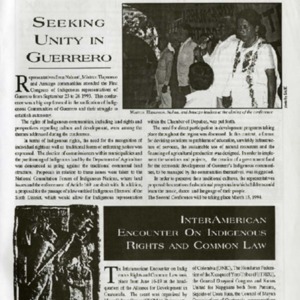 The Council is requesting concerned citizens and groups to encourage the Guatemalan government to investigate the threats and to put a stop to them. 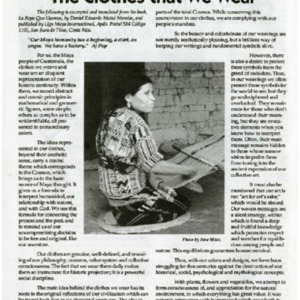 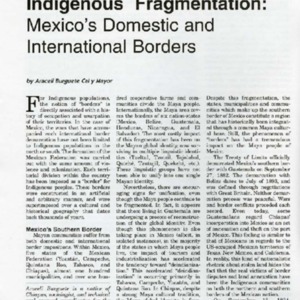 A Silent Strategy: "The Clothes that We Wear"
The Interamerican Encounter on Indigenous Rights and Common Law was an event organized by Maya Culture Center that took place on June 16-19 in Gatemala.